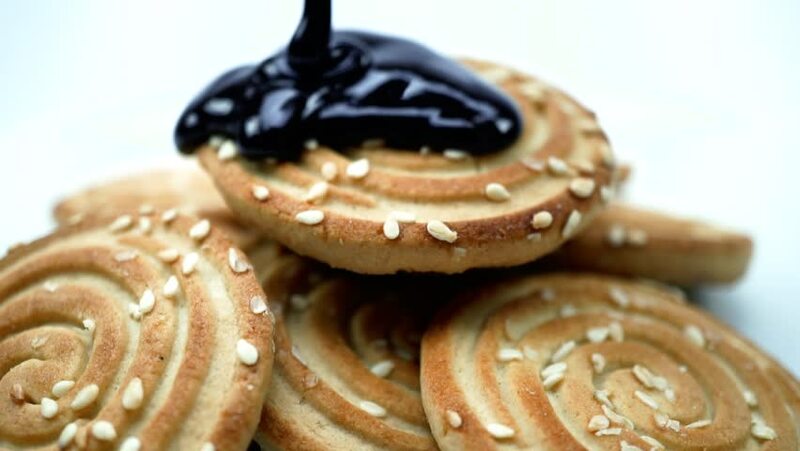 Biscuits sprinkled with chocolate syrup. Slow motion. White background. hd00:06Homemade peanut butter and blueberry sandwich on white bread. 4k00:42Cook plating octopus on a plate for an octopus carpaccio dish in a large well appointed kitchen with an array of a equipment and appliances in the background. Medium close on a RED camera. hd00:12Sea Shell on the sand.Summer travel vacation concept.